Unija has joined forces with an international company Accace expanding its presence in the region - UNIJA Accounting, Ltd.
As a renowned international accounting firm, Unija has been present on the European market for almost a decade. With systematic investments into professional training of its employees and development of advanced business processes, we managed to achieve the highest standard of providing services, which has allowed us to make successful expansion – first in the neighbouring countries and then into other countries in Central and Eastern Europe. 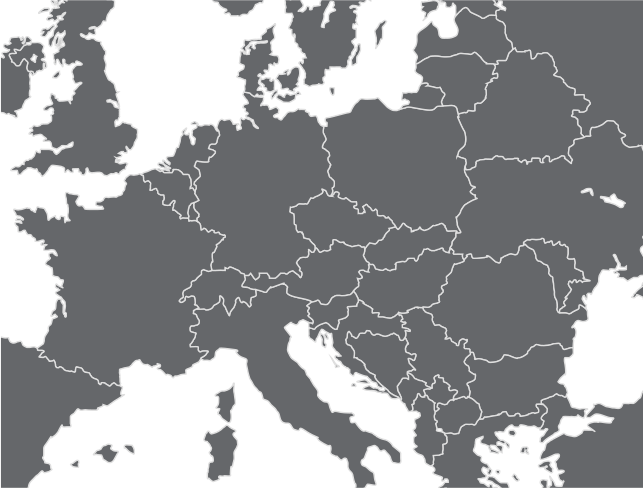 Now Unija has added four more countries to its map: Germany, Hungary, Romania and Ukraine. We have joined forces with an international company Accace and thus strengthened our presence in the region. Accace is an international accounting and consultancy firm with offices in the Czech Republic, Hungary, Slovakia, Poland as well as in Romania, Ukraine and Germany. We are bound by the same vison and values – knowledge, professionalism and quality – that is why, after many years of successful cooperation, we have decided to join forces and enter into a partnership in order to act together on markets in Central and Eastern Europe. This means that you can find more than 500 experts that provide services such as accounting, payroll calculation and consultancy in 14 European countries all under one roof. Accace is a trustworthy partner, which is proven by the fact that, just like Unija, it has obtained ISO 27001 standard for its information security management system and ISO 9001 standard for high-quality services management. Unija and Accace are therefore the only accounting firms with two awarded standards in Europe. preventive tax audits and internal audits of business for individual companies as well as groups. If you would like to know more about this cooperation, you are kindly invited to call us at +386 01 360 20 00, send us an e-mail at info@unija.com or send us a message by using an online form.